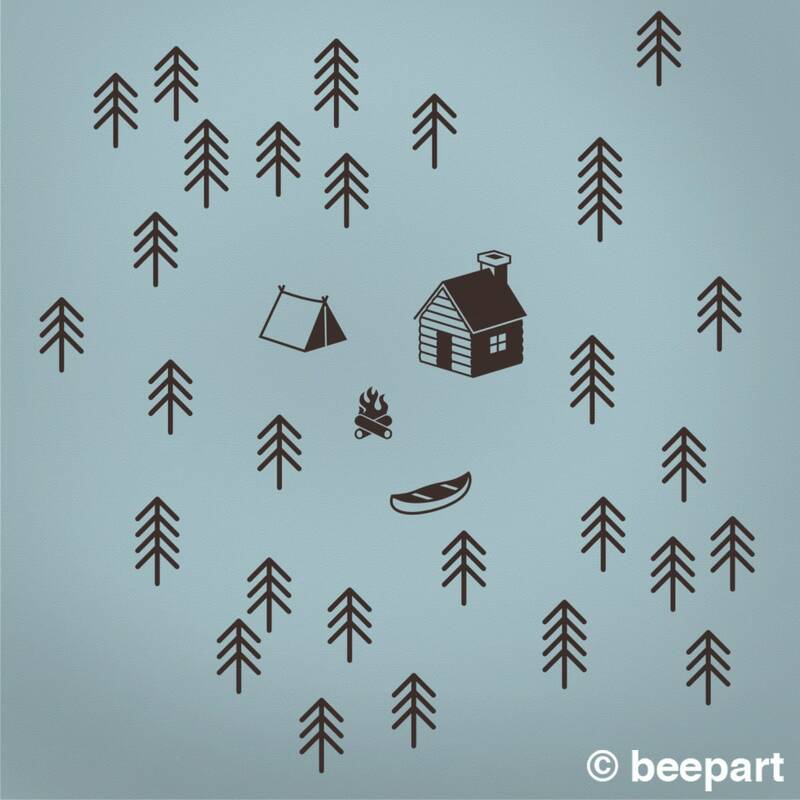 Cottage and camping decals for the wilderness and outdoors enthusiast! 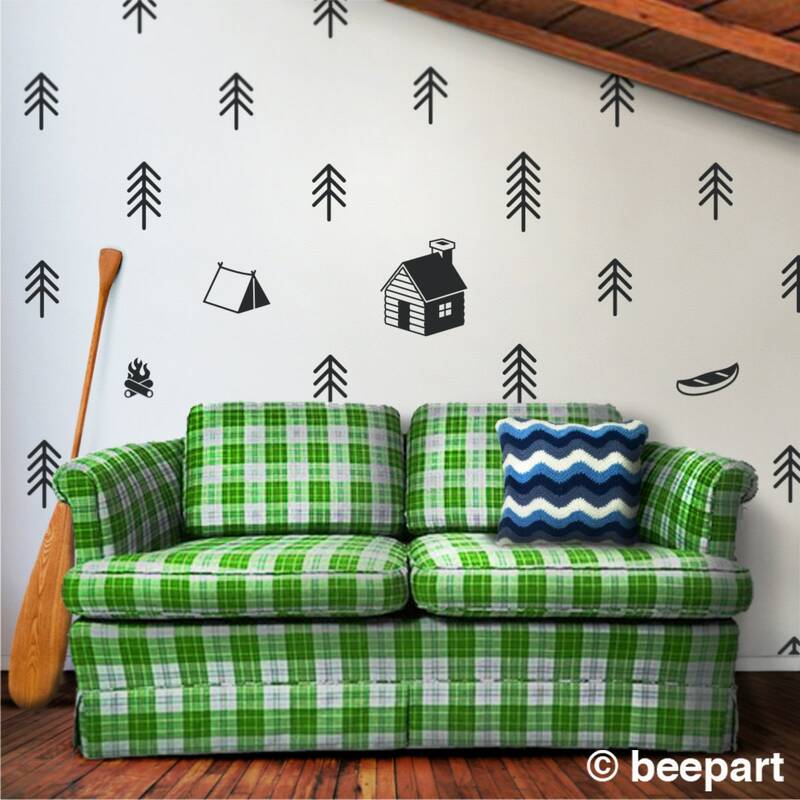 Set of 32 cottage life inspired vinyl wall decals. 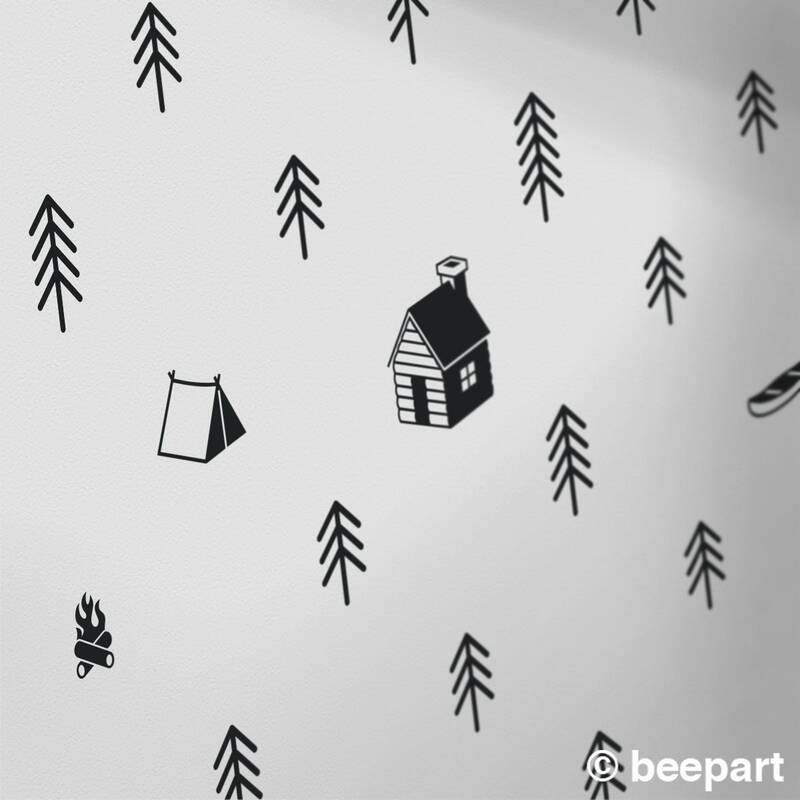 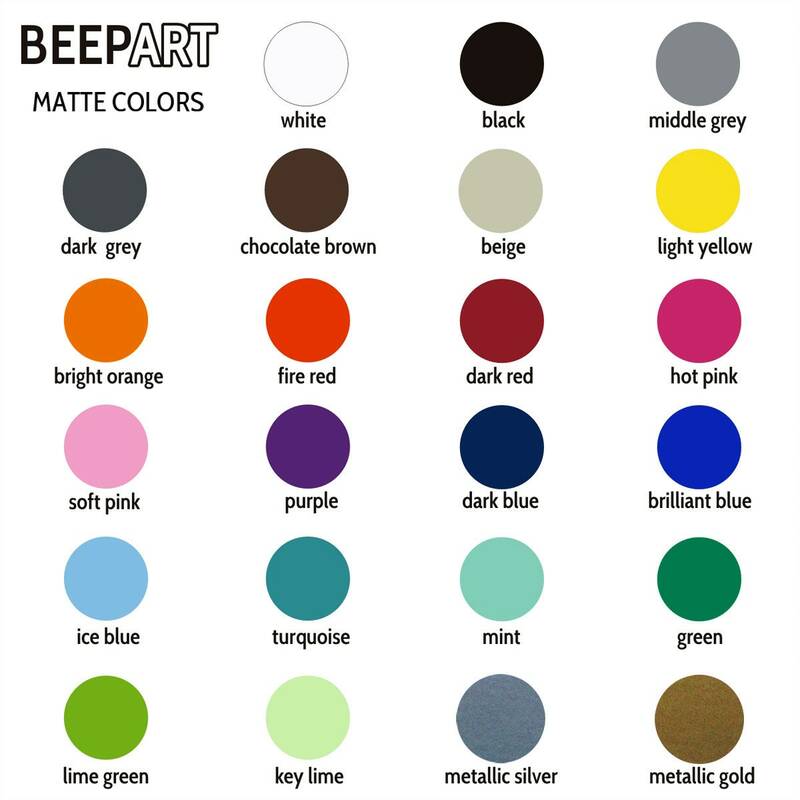 An easy and inexpensive alternative to wall paper! 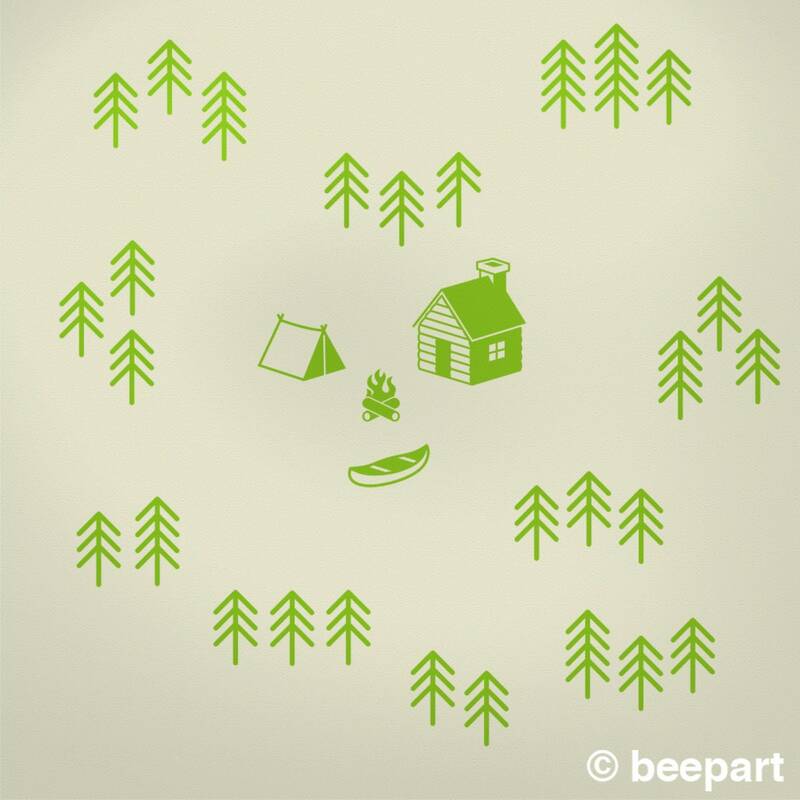 -28 trees measuring from 6" x 3.5" to 8" x 3.5"
-1 cabin measuring 9" x 10"
-1 tent measuring 7" x 3.5"
-1 campfire measuring 3" x 4.25"
-1 canoe measuring 6.5" x 3.5"